Thank you for your interest in advertising with Tessa Kirby Blog. Ad spots are limited & are first come first serve. I bill through paypal monthly & you can renew your ad on a month to month basis. For giveaway inquiries, ad spots, product reviews, & guest posts please email me at tessakirby13@gmail.com. I would love to work with you & promote your business! If you are interested in my media kit, you can find that below. These numbers are growing daily! This blog is a personal blog written and edited by me. It is a privilege to have the space to give my honest opinion and assessment of all the products that are submitted to me and experiences I may be given. I, therefore reserve the right to opt out of publishing a review if I do not feel that I can be fair and honest about my opinion. As the owner of this blog, I may accept forms of cash advertising, or sponsorship. There might also be paid topic insertions. I do accept and keep free products, services, travel, event tickets, and other forms of compensation from companies and organizations. The compensation received will never influence the content, topics or posts made in this blog. Honesty and integrity are largely why I started writing this blog, therefore I will always give my personal and honest opinion whether or not that shows a product or company in a complimentary light. Compensation received may influence the content, topics, or posts that are being advertised in this blog. And that post, content, or advertising post will clearly be identifiedas paid or sponsored content. All of my opinions, thoughts, DIY projects, & reviews I share are in my own experience. Sidebar Advertisement: I have just opened spots for side bar advertisement! 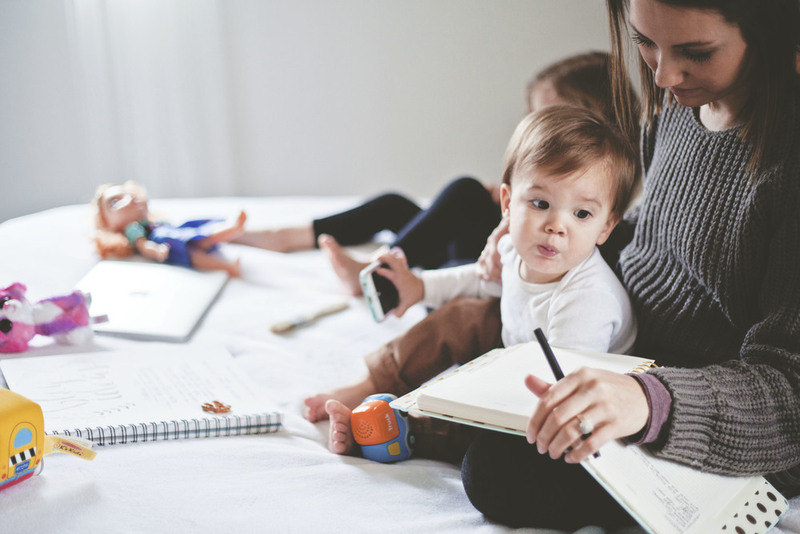 This is a great opportunity for bloggers or small businesses looking to grow their reach. Side bar advertisements will be displayed right below my "Blog Categories" section on the side bar. The image of your choice will link straight to your site. The rate for this advertisement is $10 for 30 days (max- four 30 day terms at a time). I have the right to reject an advertisement that is not a good fit for Tessa Kirby Blog. Email me at tessakirby13@gmail.com with the subject "Sidebar Advertisement," as well as, what you have in mind and how long you’d like to run the ad. Shops + Brands : I love connecting and collaborating with brands of all shapes and sizes and am currently looking to connect with brands for the fall! 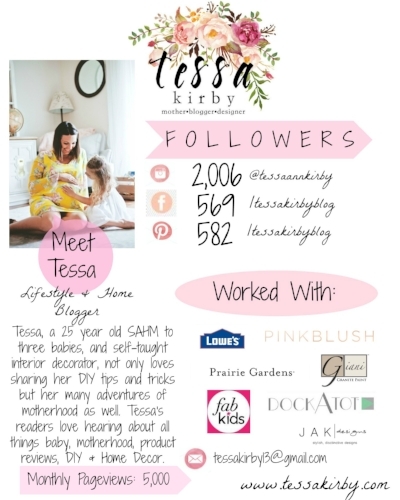 I reserve the right to advertise/feature brands and products that I feel are a good fit for Tessa Kirby Blog. Contact me at tessakirby13@gmail.com with your proposal.